The CIA and U.S. Embassy engaged in secret diplomatic exchanges with enemy insurgents of the National Liberation Front, at first with the approval of the South Vietnamese government, a channel which collapsed in the face of deliberate obstruction by South Vietnamese officials [Document 2 pp. 58-63]. As early as 1954 that Saigon leader Ngo Dinh Diem would ultimately fail to gain the support of the South Vietnamese people. 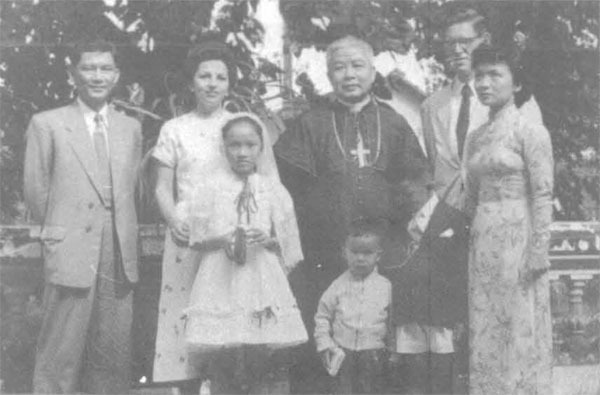 Meanwhile the CIA crafted a case officer-source relationship with Diem's brother Ngo Dinh Nhu as early as 1952, a time when the French were still fighting for Indochina [Document 1, pp. 21-2, 31]. CIA raids into North Vietnam took place as late as 1970, and the program authorizing them was not terminated until April 1972, despite obtaining no measurable results [Document 5, pp. 349-372]. In 1965, a time when the South Vietnamese regime was again in conflict with the Buddhist majority, the CIA secretly funded Buddhist training programs [Document 2, p. 38]. CIA involvement in South Vietnamese elections goes beyond what has been previously disclosed, and matches the scope of the agency's controversial 1960s political action program in Chile [Document 2, pp. 51-58]. In the later period of the war, according to the CIA's own historian, Saigon leader Nguyen Van Thieu's mistrust of the United States increasingly focused on the CIA [Document 2, p. 87]. The CIA historian, contrary to neo-orthodox arguments regarding progress in the Vietnam war, concedes that U.S. pacification efforts failed in Vietnam—including the so-called "Phoenix" program—and traces this failure to several causes, including South Vietnamese lack of interest and investment in this key facet of the conflict [Document 3, p. xv-xvi]. The Central Intelligence Agency's Vietnam war history actually begins in 1950, when agency officers moved to French Indochina as part of the United States legation in Saigon. During the French war in Indochina the CIA's involvement grew to encompass a base in Hanoi but not much more, since the French did not encourage CIA activity. The French tamped down further after an incident in which CIA officers were revealed as reaching past them to open channels to Vietnamese nationalists. When the lands of Indochina—Vietnam, Laos, and Cambodia—became independent "associated states" the CIA expanded its activity somewhat, and during the last year of the French war, 1953-1954, agency involvement grew considerably as the French were obliged to accept U.S. assistance with unconventional warfare activities as a condition of expanded military aid from the Eisenhower administration, and with the use of CIA proprietary aircraft of Civil Air Transport (later Air America) in Laos and at Dien Bien Phu. Starting with the Geneva agreements of 1954 the CIA's role expanded further and began to assume the shape it would keep through the remainder of the Indochina wars. Agency stations were created in South Vietnam and Laos, an agency base remained in North Vietnam until the spring of 1955, and the CIA was represented in Cambodia until that nation broke relations with the United States in 1963 (a CIA station in Cambodia was created following U.S. intervention there in 1970). Besides its crucial importance in gathering intelligence and providing interpretations of events in Indochina, the agency was arguably as important as the U.S. embassy in political relations with the South Vietnamese government. Moreover, as the primary action agency for counterinsurgency through most of the war, it actually conducted a full-scale war in Laos and ran a variety of paramilitary programs in South Vietnam. The agency's broad span of activities reached into virtually every aspect of the Indochina war. The present set of monographs nevertheless stand as the broadest recounting of CIA operational experience in the Southeast Asia conflict, a substantial achievement for their author, Thomas Ahern, a clandestine services officer who served during the war in both South Vietnam and Laos. Ahern began work on the series in the early 1990s, completed the first in 1998 and finished the last of the series in 2006. Some discussion of the individual studies appears below. In terms of overall scope, Ahern began with South Vietnam, with a discussion of CIA's role during the high years of the war and the crisis of the final evacuation from Saigon. Published in October 1998 under the auspices of the agency's Center for the Study of Intelligence, Ahern's CIA and the Generals deals with the agency's political action programs, its role in elections, in secret negotiations, and CIA liaison with the South Vietnamese government from 1964 through the end of the war in 1975. Ahern's second monograph, CIA and the House of Ngo (June 2000), returns to the dawn of the American involvement and covers the same ground for the period of the leadership of Ngo Dinh Diem, which ended late in 1963. 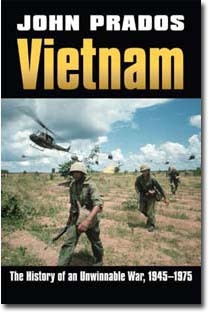 The third volume in the series, CIA and Rural Pacification in South Vietnam (August 2001), bridges both eras and focuses in on operational programs that attempted to gain the loyalty of Vietnam's peasantry for the Saigon government or to neutralize the parallel hierarchy of the insurgents, the National Front for the Liberation of South Vietnam. In February 2004 the Center for the Study of Intelligence put out Ahern's more limited monograph, Good Questions, Wrong Answers: CIA's Estimates of Arms Traffic Through Sihanoukville, Cambodia, During the Vietnam War. In this study Ahern comes closest to reviewing intelligence analysis, although most of his treatment of the subject remains redacted in the version of this document that the CIA recently declassified. Another specialized study followed in May 2005, The Way We Do Things: Black Entry Operations into North Vietnam, in which Thomas Ahern turns his attention to CIA efforts to mount clandestine espionage and sabotage missions into the Democratic Republic of Vietnam, primarily in the period until 1963, although there is some treatment of later efforts. By far the longest of the Ahern narratives is his 2006 monograph on the CIA in Laos, Undercover Armies: CIA and Surrogate Warfare in Laos, 1961-1973, in which he deals with the full panoply of agency activity in that landlocked Southeast Asian nation. All of these studies provide much detail, although, as noted, they are thin on some aspects of CIA's work. Aside from intelligence analysis, the CIA monographs contain little on early agency activities during the French war, on the organization and function of the agency's Saigon Station, on intelligence collection (excepting specific cases of particular operatives, and the question of collection on Sihanoukville), on its activities in Cambodia (except as just mentioned), on CIA coordination with the U.S. military, on its relations with agency proprietaries like Air America, or (except in the case of CIA missions into North Vietnam) on the specifics of CIA's cooperation with South Vietnamese police and intelligence services. Nowhere in these many pages will the reader discover a figure for the overall number of CIA officers who served in the Vietnam war or on the agency's casualties in that conflict. A second problem is the deletion of materials which CIA censors continue to keep secret. This is a particular difficulty with Ahern's monographs on North Vietnamese operations, the Sihanoukville intelligence dispute, and the volume on Laos. The Sihanoukville study, in particular, is so heavily redacted that readers may fail to grasp the story. (Note 2) The monograph on pacification was previously declassified in 2007. A comparison between that version of Ahern's study and the one released in 2009 reveals that the bulk of materials protected by CIA censors in their earlier redaction are of purely historical interest. It can only be hoped that censors today are protecting true national security secrets. This volume covers the early years of the agency's work in Vietnam, and ends with the South Vietnamese military coup that overthrew Saigon leader Ngo Dinh Diem, of which the CIA was aware if not complicit and the Kennedy administration was involved. The CIA historian stops short of any admission that the agency was an actor in the Diem coup. Except in minor details this CIA monograph does not go much beyond what is already in the public record. (Note 3) One minor detail of interest is that, as late as the morning of the day the Diem coup actually occurred, the U.S. military command in South Vietnam advised CIA that nothing was happening in Saigon and that the agency should stop reporting that any coup was imminent [p. 207]. Among other highlights this CIA history notes that agency experts recognized as early as August 1954 that Diem would have political problems, that the CIA went beyond headquarters guidance—and effectively set policy for supporting Diem—and that its relationship with his brother Ngo Dinh Nhu began as early as 1952 [pp. 21-31]. The CIA history concludes that the "most fateful episode" in the agency's relationship with Diem came not at the time of the 1963 coup but during a Saigon political crisis in the spring of 1955 [p.75]. By October 1958, before the communist insurgency in South Vietnam had even begun, CIA had assessed that Diem's popularity was in decline [p. 127]. In fact, in its overall conclusions the CIA history argues that "the near-destruction of the Communist apparatus in the countryside, between 1955 and 1959, resulted not in the consolidation of Saigon's control, but in the creation of a political no-man's land," and further that "whatever the possibilities in 1955, it is possible that by 1963 the conflict could not be won at all, or at least by any politically sustainable level of American commitment" [p. 219]. The CIA history nevertheless packs a host of important material into its condensed account of the decade that followed Diem's rule. The account shows that the CIA's relationship with Saigon leaders changed over time, depending on the agency's station chief, the U.S. ambassador, and the South Vietnamese leaders involved. In the final period from about 1969, when Nguyen Van Thieu led the Saigon government, "Thieu's mistrust of the U.S. increasingly focused on the CIA" [p. 87] in spite of numerous agency efforts to support him through political action, propaganda, and advice. Among the highlights in this volume are material on the CIA and South Vietnamese Buddhists—whom the CIA secretly supported and trained in 1965, shortly before the Saigon government launched a campaign against them, and whom the agency did not view as communist-instigated [pp. 38, 43, 101]. 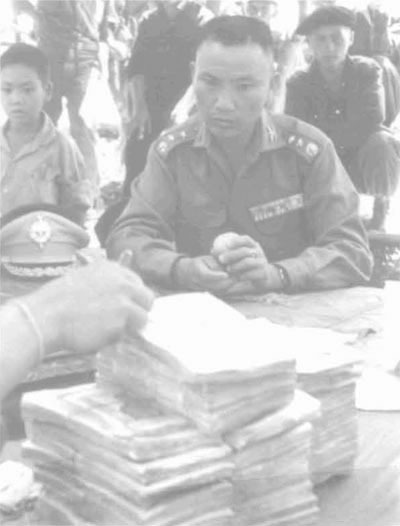 The agency's involvement in South Vietnamese politics resumed in 1966 with cash subsidies to Saigon police accounts that had been drained to support loyalists for Saigon leaders and continued with substantial involvement in the South Vietnamese elections of 1967 and 1971—at far greater levels than anything previously disclosed [pp. 45, 51-58, 100-102]. Agency involvement went beyond cash to include using CIA agents to feed ideas to South Vietnamese leaders, openly providing suggestions for a political platform, supporting individual candidates, using agents to counteract charges of electoral fraud, and manipulating the South Vietnamese National Assembly to certify election results. Besides its interventions in elections, Ahern believes that the CIA's most important political initiative was its clandestine contact with the National Front for the Liberation of South Vietnam. The CIA history provides a detailed account of a series of feelers early in 1967 and again from late that year, past the Tet offensive, and into February of 1968. Feelers culminated in offers to exchange prisoners which were first approved and then sabotaged by the Saigon government [pp. 47-50, 58-63]. The Tet offensive itself led to a proposal from an informal group of CIA Vietnam experts to present the Saigon government with a virtual ultimatum for reform, an "Operation Shock" [p. 73]. Agency officials differed on what the impact of Tet had been, however. Late 1968 negotiations between the United States and North Vietnam over a bombing halt led Saigon leaders to break off their CIA contacts for more than a month, after which Thieu began to delegate his side of the relationship to other officials [pp. 84-86]. By 1969 the CIA worried that political crisis might lead Thieu—as Ngo Dinh Nhu had once done—to denounce the CIA . In 1971 a Saigon official close to Thieu suggested U.S. officials arrange briefings for him in a way calculated to pressure the United States to crack down on its Vietnam dissenters . Despite some success in anticipating the North Vietnamese offensive of 1972, the agency's last station chief in South Vietnam argued that "the illusion that the war is over and we have won is shattered" . This volume of the CIA's Vietnam history goes back to the beginning of agency involvement to lay out a record of its efforts in behalf of the South Vietnamese to encourage popular support for the Saigon government. The CIA historian argues that the agency's record shows the CIA "understood the insurgency little better than did the rest of the bureaucracy" [p. xiv]. In fact the Saigon station took the lead innovating pacification measures throughout the conflict, with the headquarters role essentially limited to commentary on Saigon station proposals. The major CIA initiatives through the war are profiled, including early civic action, the village defense program, the formation of mountain scouts, strategic hamlets, people's action teams, census grievance and revolutionary development programs, the intelligence coordination and exploitation program, and the late-war "Phoenix" program—all of which flowed from agency field officers or the Saigon station itself. This volume of CIA history, a shorter monograph, centers specifically on agency programs to infiltrate singleton agents and reconnaissance/sabotage teams into the Democratic Republic of Vietnam. Here Ahern picks up the story from the beginning of the Diem government and focuses primarily on the period until late 1963, when CIA's primary role was ceded to the U.S. military. There is a small amount of material on later cooperation with military programs until 1968, and a bit on late war missions into North Vietnam (greater detail regarding these is actually provided in Document 5). The CIA history shows that the initiation of penetration missions came slowly due in great measure to dilatory South Vietnamese action—the Diem government and its intelligence agencies repeatedly promised cooperation and then did little to advance the program for months or years. One highlight is that Diem took the seagoing junk the CIA procured and modified for spy missions and leased it to a Japanese fishing company, while claiming success emplacing fictitious agent networks in North Vietnam. Through 1959 agreements on intelligence sharing with CIA plus U.S. support of the South Vietnamese police yielded no data at all [p. 8]. Once the CIA began mounting its own missions, the first long-term agent inserted into the North initially sent a series of 23 messages to his handlers. This represented "the longest and most prolific radio correspondence for any penetration of the program" [p. 13]. Dozens of subsequent missions and hundreds of commandos sent into North Vietnam, the CIA history makes clear, produced very little intelligence. The study documents multiple cases where assorted elements cast doubt on the continued loyalty or reliability of commando teams while the CIA's Saigon station repeatedly ignored the evidence to maintain the program still had value. An important revelation in this monograph is that the CIA station, in the wake of the Geneva accords of 1962, proposed a covert sabotage offensive against North Vietnam [p. 29-30]. This was a prelude to the OPLAN 34-A effort to coerce North Vietnam which the U.S. adopted at the beginning of 1964. In what is by far the longest of the CIA histories, Thomas Ahern takes on the ambitious task of examining the front of the Southeast Asian conflict where the CIA waged its own war, a full-service operation in which it served as the main action agency while also supplying its standard covert action and political warfare efforts. 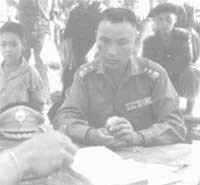 The study details the inception and progress of the array of tribal secret armies the CIA recruited in Laos, most prominently that of the Hmong tribe, whose military leader was General Vang Pao. While, in general, this volume is long on combat action it nevertheless passes quickly over certain key events, such as the specific Hmong role in the resumption of the Laotian war in 1963; and the key tipping point of Operation "Triangle," in the summer of 1964, when the U.S. cast off the Geneva restraints. Other important military events of the 1969-1971 period, declassified elsewhere, are shrouded in secrecy here by censors' redactions. The book is best read in conjunction with the Air Force official history of the war in northern Laos, declassified through the Archive's law suit against that agency and which the Archive posted in April 2008. (Note 6) This CIA history is also circumspect on relations within the U.S. embassy, on those between agency managers in Vientiane and in Thailand, on those between the CIA and U.S. Air Force, on the CIA's management of Air America, on the operation of the CIA base at Long Tieng, and on political action in the Laotian twin capitals. The role of Thailand in the CIA war is represented here largely by deleted material even though this has been declassified. Among the highlights of this CIA history is the coverage of drug trafficking in Laos [pp. 535-548], and the treatment of missions into North Vietnam mounted from Laos during 1970-1972 [pp. 349-372]. Probably the most important intelligence dispute of the Vietnam war in the period after 1968 concerned the importance of the Cambodian port of Sihanoukville in supplying North Vietnamese and National Liberation Front (NLF) forces in the lower part of South Vietnam and the base areas located in contiguous parts of Cambodia. The CIA began reporting on the importance of Cambodia to the NLF in 1965, and arms traffic through the port became an issue the following year, with the first of a series of visits by Chinese merchant vessels. The extent of this traffic was debated among U.S. intelligence agencies and the Military Assistance Command Vietnam (MACV). The dispute became extremely intense, featuring visits to South Vietnam by senior CIA officials, by study groups deputized by the United States Intelligence Board, and a variety of internal debates. The CIA historian was right to have attempted a dissection of this dispute. Unfortunately for the public, much of the dispute remains opaque in this agency monograph, which is so heavily redacted by CIA censors that much of the detail is simply missing. The highlight of this monograph concerns government secrecy: whereas the CIA usually protects the specifics of raw intelligence reporting ("sources and methods"), in the Cambodia case it seems to have released that material and kept secret much of the substance of the intelligence debate on this matter. 1. General Bruce Palmer, Jr., US Intelligence and Vietnam. Special Issue: Studies in Intelligence. Central Intelligence Agency: Center for the Study of Intelligence, 1984. Also see Harold P. Ford, CIA and the Vietnam Policymakers: Three Episodes, 1962-1968. Central Intelligence Agency: Center for the Study of Intelligence, 1999. For the estimates themselves see John K. Allen, Jr., et. al, eds. Estimative Products on Vietnam, 1948-1975 (NIC 2005-03). Director of National Intelligence: National Intelligence Council, 2005. 2. For a more coherent account than is available in the declassified portions of Ahern's monograph on this subject see John Prados, "Port of Entry: Sihanoukville," The VVA Veteran, v. 25, no. 6, November-December 2005. 3. 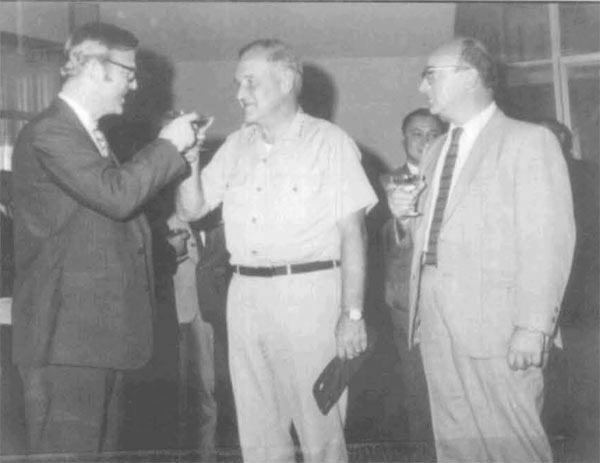 John Prados, Lost Crusader: The Secret Wars of CIA Director William Colby. New York: Oxford University Press, 2003, pp. 105-131. A paperback edition of this book will be published in the fall of 2009 by University Press of Kansas under the title William Colby and the CIA. For the role of President Kennedy see National Security Archive, Electronic Briefing Book no. 101, "JFK and the Diem Coup," November 5, 2003 (Archive website). For a different view see Howard Jones, Death of a Generation: How the Assassinations of Diem and JFK Prolonged the Vietnam War. New York: Oxford University Press, 2003. 4. This section of the narrative should be read in conjunction with Frank Snepp, Decent Interval: An Insider's Account of Saigon's Indecent End Told by the CIA's Chief Strategy Analyst in Vietnam. New York: Random House, 1977. Snepp's account is important here because it provides a contemporaneous perspective and a view from within the U.S. embassy, and because to a degree the CIA historian writes in counterpoint to it. 5. Lewis B. Sorley, A Better War: The Unexamined Victories and Final Tragedy of America's Final Years in Vietnam. New York: Harcourt, Brace, 1999. 6. Victor B. Anthony and Richard P. Sexton, The War in Northern Laos, 1954-1973. Washington: Office of Air Force History, 1993. Posted in National Security Archive Electronic Briefing Book No. 248, "Fighting the War in Southeast Asia, 1961-1973," April 9, 2008. Before addressing the substance in the new CIA histories it will be useful to pause and consider what this case also shows about the U.S. Government's broken system for declassifying and releasing records. In actuality, this CIA release was not at all a voluntary contribution to American history, but was compelled by a Freedom of Information Act (FOIA) request. Filed in 1992, that FOIA request may be the longest running case in the CIA's files, and its treatment shines a blinding light on how the agency handles its statutory duty to release records. A whole series of questionable actions were taken by the CIA's FOIA officers in handling the materials involved here, in fact a sordid story that only begins with the seventeen years that have been necessary to bring this information to light. Only an agency obsession with secrecy can account for the way in which this FOIA request was treated. At the time of the request none of the governments involved in the war any longer existed—even the North Vietnamese state had been transformed—the CIA actors were in retirement, the Vietnam war had entered history, and the most recent events concerned were almost twenty years into the past. By 2001, the time of the CIA's initial response this was even more true, and by 2009 the continued presence of this FOIA request on the agency's books was positively embarrassing. * CIA FOIA officers substituted the Ahern studies for the larger body of materials that were clearly implicated in the FOIA request. This was a matter of policy, not the individual action of a CIA information official. At the time of the request the agency had sought—and received—legislative approval, under the 1986 CIA Act, to exclude "operational records" from FOIA. It happens that the CIA possesses an extensive collection of histories of its secret operations, both contemporaneous and retrospective. In applying for the operational records exclusion, agency director William J. Casey made explicit promises to Congress that this grant of authority would be accompanied by a much more vigorous at declassifying historical material—of which these "Clandestine Service Historical Papers" are obvious examples. Instead the CIA moved to extend the definition of "operational records to include the histories. * The agency also did nothing to fulfill its obligation to review the clandestine service records every ten years with a view to terminating their status as "operational records" Ten year reviews took place in 1996 and 2006 under that requirements but it cannot be said that the Agency has followed the letter or spirit of the law. For example, in its 2006 review, the CIA expanded the scope of Directorate of Operations file series that may be excluded from FOIA, including "Clandestine Service History Program Files" as well as files of the Directorate of Science and Technology and the "Security Center." Conversely, during the period when this FOIA request was pending, the CIA had no problem giving some researchers privileged access to historical material that it would not provide through the FOIA. Favored authors were able to inspect histories of operations against the Soviet Union, in Eastern Europe, on psychological warfare and paramilitary operations, on the Bay of Pigs, and on the Berlin Tunnel operation, just to cite cases of which I am aware. At a minimum this establishes that the CIA itself was prepared to disregard the operational records issue when it chose to. In the present FOIA case, the CIA used its shaky legal authority to reject a request for older clandestine service histories substituting the Ahern studies for them. * Agency authorities actually released one of the Ahern histories, the volume on Pacification, in 2007. In declassifying that material at that time, the agency did not provide the study to the original FOIA requestor in partial response to the freedom of information case, or even directly inform him that the material had been opened. * The recently released histories, in particular the Laos volume, have redacted material on subjects already in the public domain. Excised passages in the Laos history, for example, judging from their context and positioning, must refer to items that were declassified in the corresponding volume of the Foreign Relations of the United States series that was published as long ago as 1999. Since references to the Foreign Relations series make up the vast majority of the limited number of footnotes the CIA declassified in this history, the agency had to be aware of this fact. Fortunately, an Archive FOIA lawsuit against the Air Force forced declassification of an important official history of air operations in Northern Laos, which includes information that some CIA reviewers believed they were keeping secret when they scrubbed this agency Laos history. This illustrates the subjectivity of the review process even at CIA. * This author responded to the actual FOIA release by filing an appeal of the deleted material in the Ahern histories that focused on the public domain material and other items that should no longer be construed as secret. The CIA rejected the appeal on the grounds that the right of appeal had been exhausted when objecting to the CIA's arbitrary claim that no Vietnam records existed. In other words, the CIA chose to regard a protest of its administrative action as exhausting the statutory right of appeal on the substance of its actual declassification. * Beyond this highly questionable action the CIA failed to supply some missing pages from the Ahern histories even though the requester had noted in his appeal that certain pages of the Ahern histories had unaccountably not been included in the materials released. It is normal practice to supply pages missing from documents. * In addition the agency larded its response to the FOIA request by adding many hundreds of pages of declassified National Intelligence Estimates and related documents which had not figured in the FOIA, and had in fact already been released—and published—by the National Intelligence Council on CIA's behalf in April 2005. The only function of this action is to enable the agency to claim the pages as achievements in the official reports it is obliged to file with U.S. authorities on the extent of its declassification activity. * Less than a month separates the CIA's response to this FOIA request from its general release to the public of the same material. Because the National Security Archive is dedicated to making information available to the American people, it does not object to this final irregularity,but it should nevertheless be noted. By this action, at a minimum, the CIA has implicitly recognized that release of these records was in the public's interest all along—calling into question its seventeen year delay in making the material available. * Finally, the CIA summarily rejected a subsequent FOIA request for a number of the "Clandestine Service Historical Papers" identified in the Ahern histories—and in doing so it failed to meet the acknowledgement and response deadlines specified in the law. The rejection was on the grounds that these were "operational records." These irregularities are not fanciful, they are matters of record, and they illustrate the weaknesses of a FOIA system that largely leaves federal agencies to be the judge of their own action. The agency, it seems, cannot escape from its obsession with secrecy. The Freedom of Information Act makes illegal the "arbitrary and capricious denial" of information but the CIA Act trumps that. Plainly Congress needs to supervise the Agency's actions under the CIA Act to ensure that it conforms to the spirit and letter of the law. This case also points to the need for changes in secrecy policy so that historical information is not treated like today's secrets. A useful change would be oversight by the Information Security Oversight Office (ISOO) of declassification manuals used by federal agencies. Moreover, a new executive order on secrecy policy could end the CIA's veto over decisions by the Interagency Declassification Appeals panel so it will not have that threat to block declassification action on mandatory review requests.